Doesn’t this sound amazing! Why not bake it for the weekend if you’re having people over, or just as a treat. As you know we ran a competition for the best recipe so here is the second winner’s recipe. We hope you enjoy it! Spray a pie tin with cooking spray and line with the ready made shortcrust pasty – Slice the apples and add to a bowl. Mix with the coconut nectar and cinnamon before placing into the pastry casing. 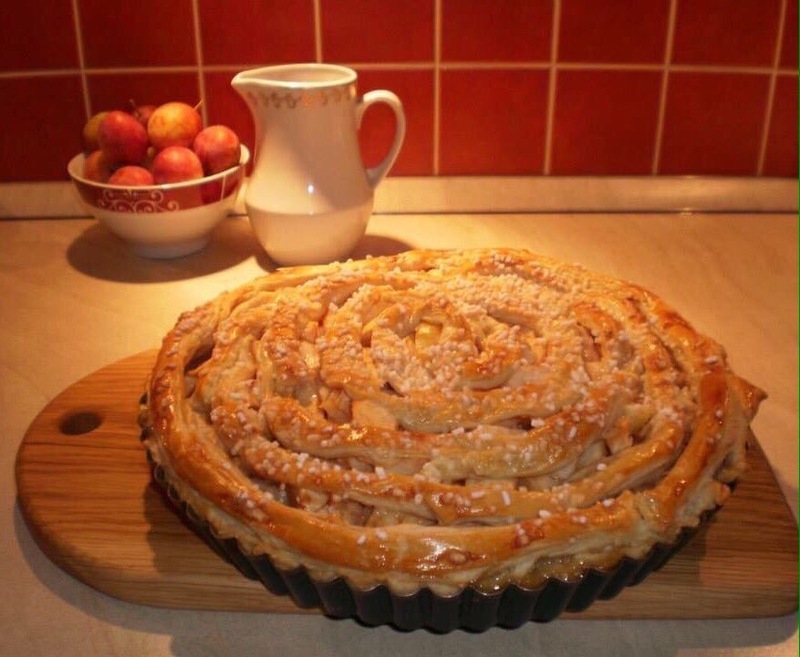 Top the pie off with either a swirl of pastry like it shows here or as a lattice before brushing with beaten egg. Bake in the oven at 180oC or until the pastry is golden and crisp. Happy New Year coconut lovers! Between Christmas and New Year we ran two competitions and first of all we’d like to say a massive thank you to everyone who took part and congratulations to the winners. 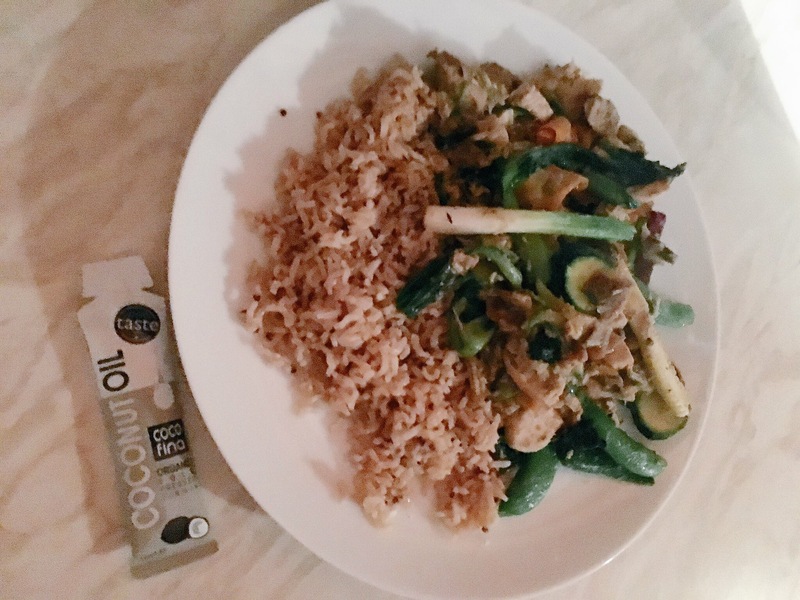 This is one of the winner’s recipes so we hope you enjoy it as much as we did! Preheat oven to 180C degrees. Combine peanut butter, honey, coconut oil and vanilla extract in a saucepan. Heat it until the peanut butter starts to melt. In a large bowl pour the liquid on to the oats and stir until combined. Spread granola in an even layer on a baking sheet. 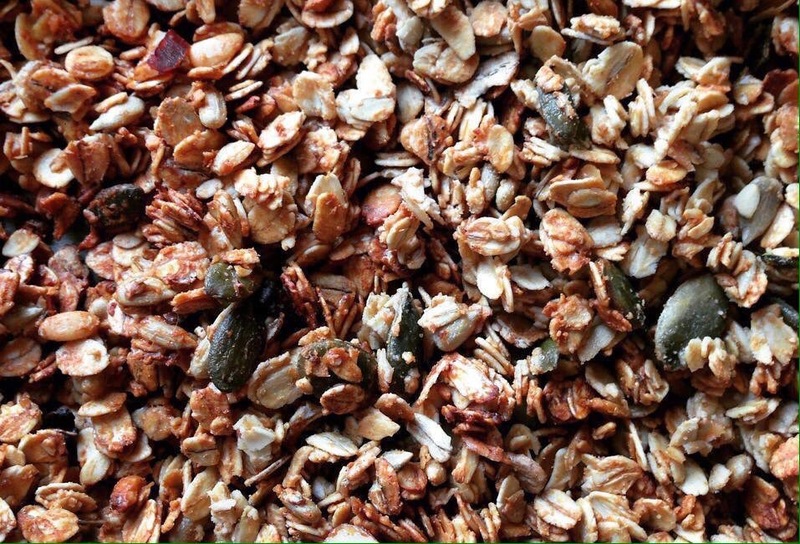 Bake it for 10-15 minutes, until granola is lightly brown. Let it to cool completely before storing in to airtight container. Serve with milk or yogurt.